an external climate file containing daily minimum and maximum values (SWMM fits a sinusoidal curve through these values depending on the day of the year). For user-defined time series, temperatures are in degrees F for US units and degrees C for metric units. The external climate file can also be used to directly supply evaporation and wind speed as well. If rates are read directly from a climate file, then a set of monthly pan coefficients should also be supplied to convert the pan evaporation data to free water-surface values. An option is also available to allow evaporation only during periods with no precipitation. Note that the evaporation rates supplied to SWMM are potential rates. The actual amount of water evaporated will depend on the amount of water available. Wind speed is an optional climatic variable that is only used for snowmelt calculations. SWMM can use either a set of monthly average speeds or wind speed data contained in the same climate file used for daily minimum/maximum temperatures. Areal depletion refers to the tendency of accumulated snow to melt non-uniformly over the surface of a subcatchment. As the melting process proceeds, the area covered by snow gets reduced. 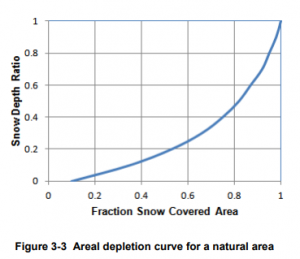 This behavior is described by an Areal Depletion Curve that plots the fraction of total area that remains snow covered against the ratio of the actual snow depth to the depth at which there is 100% snow cover. A typical ADC for a natural area is shown in Figure 3-3. Two such curves can be supplied to SWMM, one for impervious areas and another for pervious areas. Climate Adjustments are optional modifications applied to the temperature, evaporation rate, and rainfall intensity that SWMM would otherwise use at each time step of a simulation. Separate sets of adjustments that vary periodically by month of the year can be assigned to these variables. They provide a simple way to examine the effects of future climate change without having to modify the original climatic time series. In a similar manner, a set of monthly adjustments can be applied to the hydraulic conductivity used in computing rainfall infiltration on pervious land surfaces and exfiltration from storage nodes and conduits. These can reflect the increase of hydraulic conductivity with increasing temperature or the effect that seasonal changes in land surface conditions, such as frozen ground, can have on infiltration capacity. The Plowable snow pack area consists of a user-defined fraction of the total impervious area. It is meant to represent such areas as streets and parking lots where plowing and snow removal can be done. The Impervious snow pack area covers the remaining impervious area of a subcatchment. The Pervious snow pack area encompasses the entire pervious area of a subcatchment. initial and maximum free water content in the pack. In addition, a set of snow removal parameters can be assigned to the Plowable area. These parameters consist of the depth at which snow removal begins and the fractions of snow moved onto various other areas. Subcatchments are assigned a snow pack object through their Snow Pack property. A single snow pack object can be applied to any number of subcatchments. Assigning a snow pack to a subcatchment simply establishes the melt parameters and initial snow conditions for that subcatchment. Internally, SWMM creates a “physical” snow pack for each subcatchment, which tracks snow accumulation and melting for that particular subcatchment based on its snow pack parameters, its amount of pervious and impervious area, and the precipitation history it sees. Aquifers are sub-surface groundwater zones used to model the vertical movement of water infiltrating from the subcatchments that lie above them. They also permit the infiltration of groundwater into the drainage system, or exfiltration of surface water from the drainage system, depending on the hydraulic gradient that exists. Aquifers are only required in models that need to explicitly account for the exchange of groundwater with the drainage system or to establish base flow and recession curves in natural channels and non-urban systems. The parameters of an aquifer object can be shared by several subcatchments but there is no exchange of groundwater between subcatchments. A drainage system node can exchange groundwater with more than one subcatchment. Aquifers are connected to subcatchments and to drainage system nodes through a subcatchment’s Groundwater Flow property. This property also contains parameters that govern the rate of groundwater flow between the aquifer’s saturated zone and the drainage system node. 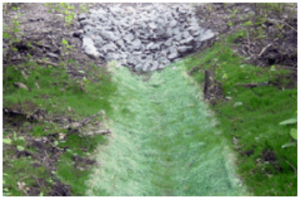 Unit Hydrographs (UHs) estimate rainfall-dependent infiltration/inflow (RDII) into a sewer system. 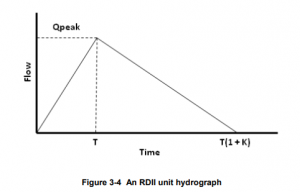 A UH set contains up to three such hydrographs, one for a short-term response, one for an intermediate-term response, and one for a long-term response. A UH group can have up to 12 UH sets, one for each month of the year. Each UH group is considered as a separate object by SWMM, and is assigned its own unique name along with the name of the rain gage that supplies rainfall data to it. To generate RDII into a drainage system node, the node must identify (through its Inflows property) the UH group and the area of the surrounding sewershed that contributes RDII flow. An alternative to using unit hydrographs to define RDII flow is to create an external RDII interface file, which contains RDII time series data. See Section 11.7 Interface Files. Unit hydrographs could also be used to replace SWMM’s main rainfall-runoff process that uses Subcatchment objects, provided that properly calibrated UHs are utilized. In this case what SWMM calls RDII inflow to a node would actually represent overland runoff. Transects refer to the geometric data that describe how bottom elevation varies with horizontal distance over the cross section of a natural channel or irregular-shaped conduit. 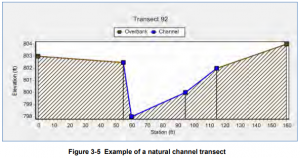 Figure 3-5 displays an example transect for a natural channel. Each transect must be given a unique name. Conduits refer to that name to represent their shape. A special Transect Editor is available for editing the station-elevation data of a transect. SWMM internally converts these data into tables of area, top width, and hydraulic radius versus channel depth. In addition, as shown in Figure 3-5, each transect can have a left and right overbank section whose Manning’s roughness can be different from that of the main channel. This feature can provide more realistic estimates of channel conveyance under high flow conditions. Direct Inflows – These are user-defined time series of inflows added directly into a node. They can be used to perform flow and water quality routing in the absence of any runoff computations (as in a study area where no subcatchments are defined). Dry Weather Inflows – These are continuous inflows that typically reflect the contribution from sanitary sewage in sewer systems or base flows in pipes and stream channels. They are represented by an average inflow rate that can be periodically adjusted on a monthly, daily, and hourly basis by applying Time Pattern multipliers to this average value. 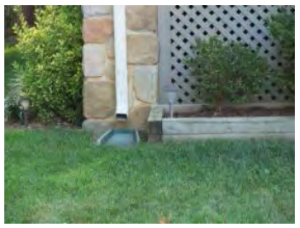 Rainfall-Dependent Infiltration/Inflow (RDII) – These are stormwater flows that enter sanitary or combined sewers due to “inflow” from direct connections of downspouts, sump pumps, foundation drains, etc. as well as “infiltration” of subsurface water through cracked pipes, leaky joints, poor manhole connections, etc. RDII can be computed for a given rainfall record based on set of triangular unit hydrographs (UH) that determine a short-term, intermediate-term, and long-term inflow response for each time period of rainfall. Any number of UH sets can be supplied for different sewershed areas and different months of the year. RDII flows can also be specified in an external RDII interface file. Direct, Dry Weather, and RDII inflows are properties associated with each type of drainage system node (junctions, outfalls, flow dividers, and storage units) and can be specified when nodes are edited. They can be used to perform flow and water quality routing in the absence of any runoff computations (as in a study area where no subcatchments are defined). It is also possible to make the outflows generated from an upstream drainage system be the inflows to a downstream system by using interface files. See Section 11.7 for further details. External Time Series: This option allows one to use a Time Series to describe the rate of buildup per day as a function of time. The values placed in the time series would have units of mass per unit area (or curb length) per day. One can also provide a maximum possible buildup (mass per unit area or curb length) with this option and a scaling factor that multiplies the time series values. where C1 = washoff coefficient, C2 = washoff exponent, q = runoff rate per unit area (inches/hour or mm/hour), and B = pollutant buildup in mass units. The buildup here is the total mass (not per area or curb length) and both buildup and washoff mass units are the same as used to express the pollutant’s concentration (milligrams, micrograms, or counts). Event Mean Concentration: This is a special case of Rating Curve Washoff where the exponent is 1.0 and the coefficient C1 represents the washoff pollutant concentration in mass per liter (Note: the conversion between user-defined flow units used for runoff and liters is handled internally by SWMM). Note that these parameters can be different for each land use, and the last parameter can vary also with pollutant. any of several process variables, such as flow rate, depth, hydraulic residence time, etc. Section C.22 provides more details on how user-defined treatment equations are supplied to the program. Storage – describes how the surface area of a Storage Unit node varies with water depth. Shape – describes how the width of a customized cross-sectional shape varies with height for a Conduit link. Diversion – relates diverted outflow to total inflow for a Flow Divider node. Tidal – describes how the stage at an Outfall node changes by hour of the day. Pump – relates flow through a Pump link to the depth or volume at the upstream node or to the head delivered by the pump. Rating – relates flow through an Outlet link to the freeboard depth or head difference across the outlet. Control – determines how the control setting of a pump or flow regulator varies as a function of some control variable (such as water level at a particular node) as specified in a Modulated Control rule. Each curve must be given a unique name and can be assigned any number of data pairs. control settings for pumps and flow regulators. 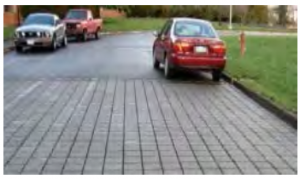 Continuous Permeable Pavement systems are excavated areas filled with gravel and paved over with a porous concrete or asphalt mix. 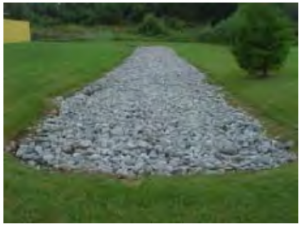 Normally all rainfall will immediately pass through the pavement into the gravel storage layer below it where it can infiltrate at natural rates into the site’s native soil. Block Paver systems consist of impervious paver blocks placed on a sand or pea gravel bed with a gravel storage layer below. Rainfall is captured in the open spaces between the blocks and conveyed to the storage zone and native soil below. 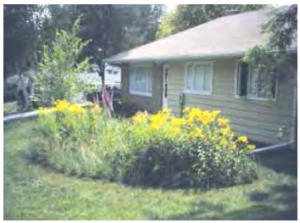 Although some LID practices can also provide significant pollutant reduction benefits, at this time SWMM only models the reduction in runoff mass load resulting from the reduction in runoff flow volume. create a new subcatchment devoted entirely to just a single LID practice. 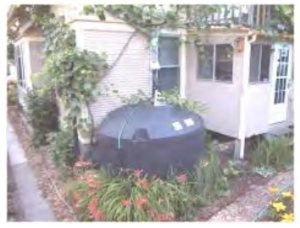 The first approach allows a mix of LIDs to be placed into a subcatchment, each treating a different portion of the runoff generated from the non-LID fraction of the subcatchment. Note that under this option the subcatchment’s LIDs act in parallel — it is not possible to make them act in series (i.e., have the outflow from one LID control become the inflow to another LID). 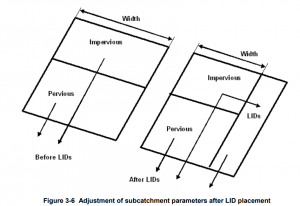 Also, after LID placement the subcatchment’s Percent Impervious and Width properties may require adjustment to compensate for the amount of original subcatchment area that has now been replaced by LIDs (see Figure 3-6 below). 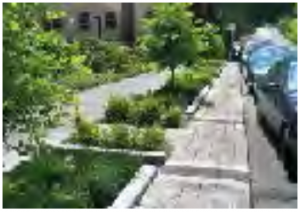 For example, suppose that a subcatchment which is 40% impervious has 75% of that area converted to a permeable pavement LID. After the LID is added the subcatchment’s percent imperviousness should be changed to the percent of impervious area remaining divided by the percent of non-LID area remaining. This works out to (1 – 0.75)*40 / (100 – 0.75*40) or 14.3 %. Under this first approach the runoff available for capture by the subcatchment’s LIDs is the runoff generated from its impervious area. If the option to re-route some fraction of this runoff to the pervious area is exercised, then only the remaining impervious runoff (if any) will be available for LID treatment. 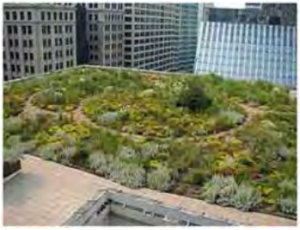 Also note that green roofs and roof disconnection only treat the precipitation that falls directly on them and do not capture runoff from other impervious areas in their subcatchment.